I've been thinking a lot about Curb Cuts recently. They are everywhere and have gone relatively unnoticed to me even though I use them all the time. This animation includes just some of the curb cuts I encountered on a short morning walk to a local coffee shop. If you're counting, there are nineteen pictures and this montage is not inclusive. As someone without a mobility impairment, I have the privilege of going about my day without noticing curb cuts. These innovations were initially created to assist injured veterans back in the 1940s. Since 1990 they have been required by the American with Disabilities Act. Curb cuts were further modified to include tactile paving that assists those with visual impairments. Besides providing access to those with mobility and visual impairments, curb cuts assist families with strollers, the child learning to ride a bike, the shopper with a full cart, the itinerant teacher who moves schools and classrooms on a daily basis (this was me for 7 years), the person who is tired after a long day, and many more! Even though curb cuts were designed for a specific use case and audience they are used and benefit so many more. Since they are part of universal design, curb cuts create a more inclusive environment where the person with a visual or mobility impairment is able to participate and interact in the same environment and travel the same path as the person without. What if captions became a kind of curb cut in education? Instead of providing access to a location, captions provide access to information and learning, especially in online environments. I imagine for most people captioning goes unnoticed similar to curb cuts. I do not have this privilege. I am acutely aware of their presence, absence, poor quality, and method of access. My vision is that captions become as prevalent as curb cuts so much so they disappear and go unnoticed in our educational landscape. I imagine one day being at conferences or within a classroom where captions are automatically displayed without question. 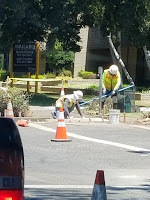 Captions could be part of universal design similar to curb cuts so that persons with hearing disabilities can experience and interact in their environment in a similar manner as others. Captions would provide access to those with disabilities that benefit from captions while also providing additional inputs to other participants that would serve to enhance comprehension. Unlike curb cuts, captioning of online content isn't required by law. Currently, only material that has been broadcast on television is required to be captioned. With the decline of television and the rise of online content, this means more and more content is inaccessible. I expect this gap to continue to expand over time. As educators, who produce online content, ask our students to create to multimedia materials, and present to the larger educational community, do we really need to wait for a law to display and produce accessible content? Personally, I think we can do better as educators. 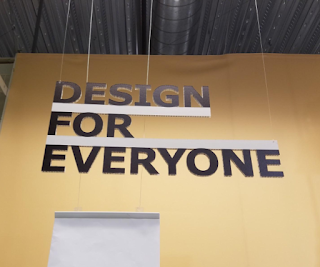 As I continue to brainstorm and think about how to make this vision a reality, I know awareness of the why behind accessible design will be critically important. I also recognize the need to establish workflows for creating good, quality captions more efficient for teachers and students. I am not sure of the steps yet, but know that just like creating curb cuts, it will take a team. 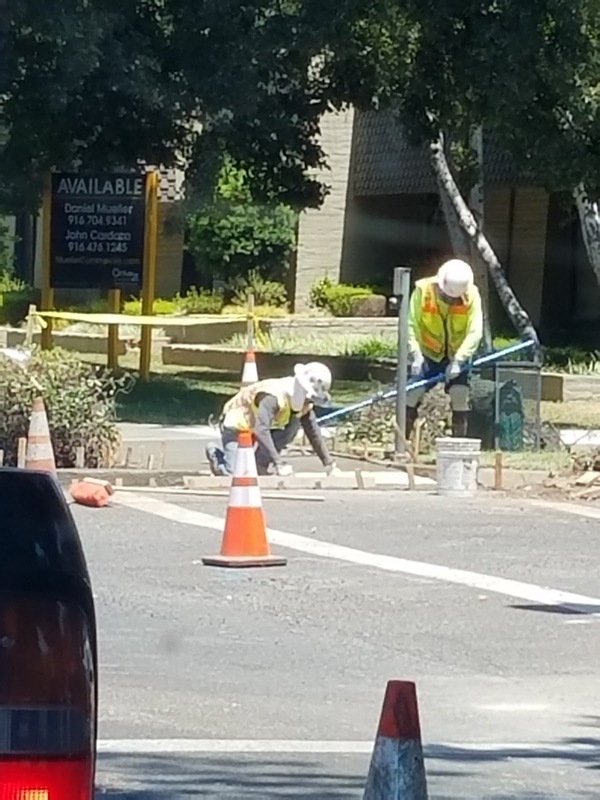 It only seems fitting that I drove past this work crew creating a new curb cut that serves as a reminder that this project will be an ongoing, team effort. If you haven't already completed my survey, I love to hear more about how you currently use captions in your role. 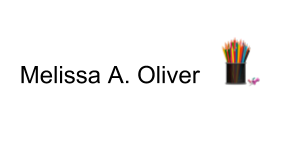 Please complete this short, anonymous Google Form so I can gather additional data to inform how best to proceed with my project.